Knowledge of Nova Scotia's rich geological heritage will be enhanced thanks to funding announced today, Dec. 15, by the provincial and federal governments to support upgrades to exhibit space at the Fundy Geological Museum in Parrsboro. 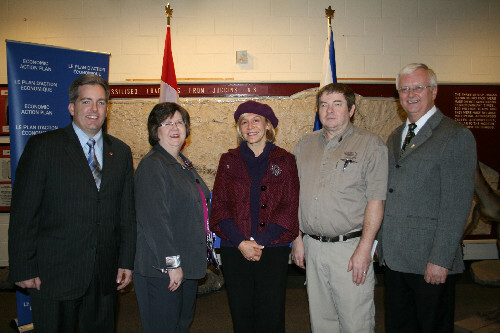 MLA Lenore Zann, on behalf of Tourism, Culture and Heritage Minister Percy Paris, announced a $550,000 investment from the province to help the museum revitalize its exhibit space by incorporating new material contained in the permanent collection. "The Fundy Geological Museum brings to life our province's natural history for thousands of visitors every year," said Ms. Zann. "This investment will enhance the popularity of the Fundy shore as an eco-tourism destination and create economic activity for Parrsboro." 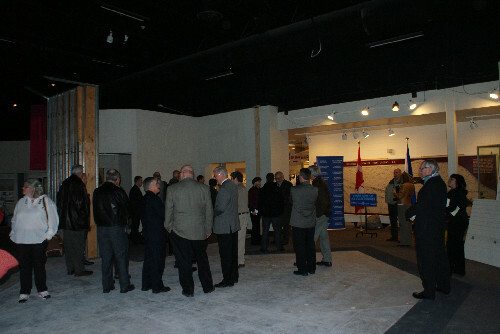 The government of Canada has also announced $450,000 for the project through its Innovative Communities Fund. "This represents the culmination of a lot of hard work and planning by the staff and board of the museum," said Ken Adams, director of the Fundy Geological Museum. "This is exciting for the museum and for Parrsboro." The Fundy Geological Museum was established in 1993 and houses a collection that reveals an ancient Nova Scotia of 200 million years ago, when dinosaurs roamed the Earth.